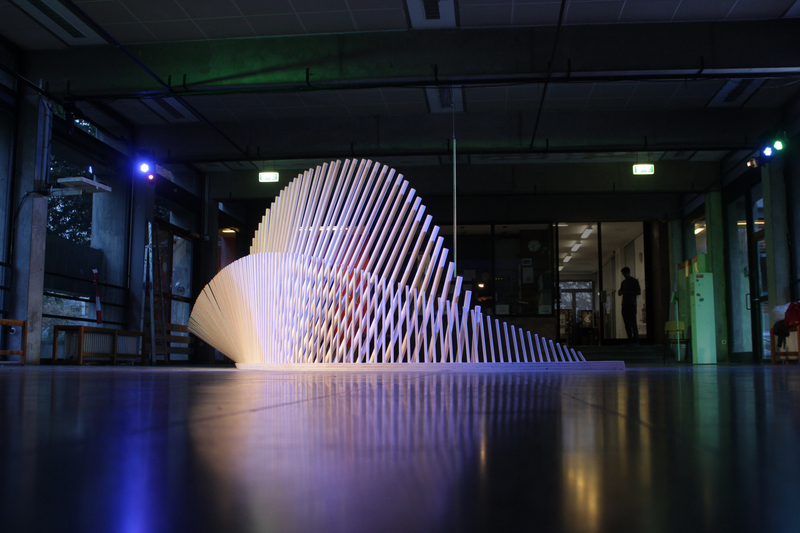 The interdisciplinary research team of Robotic Woodcraft consists of researchers and designers of the University of Applied Arts, the Association for Robots in Architecture and the Vienna based designstudio Lucy.D. RANDOMIZED IDENTITIES focuses on the idea of individualization within a production process, rather than a replication of the original prototype. 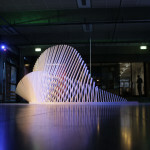 The designers of the Lucy.D developed a digital, generative process that generates an inﬁnite range of surfaces. Taking into account the speciﬁcations of parameters like height, diameter, amount and spacing, these digitally generated patterns and the associated process information orchestrate and actuate computer controlled woodworking tools; at the same time seamlessly creating and materializing three dimensional surfaces. The ﬂexibility of present-day robotic machinery allows for a continuous implementation of modiﬁcations. Instead of using industrial robots with the purpose of replacing human labor, we create a digital ecosystem that introduces random factors into machines that are otherwise accurate to the tenths of a millimeter. 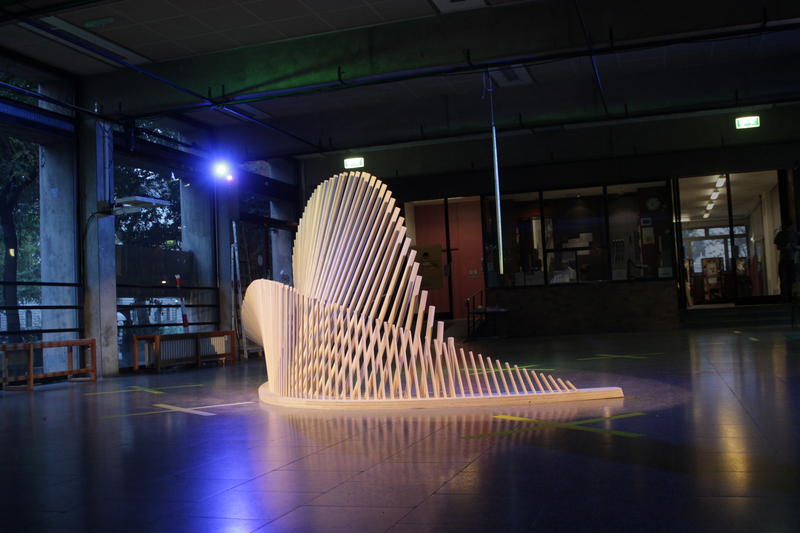 We show industrial robots as the strong and intuitive tools that they are and open up new areas of wood geometry and human – machine-cooperation beyond industrial ﬁle to factory concepts. The RANDOMIZED IDENTITIES‘ peculiarity lies not only in their aesthetic qualities, but in them inherently reﬂecting the capabilities of contemporary production facilities and conditions. In this sense, they stand for a new form of integrated product and process development and all-together for a new way of thinking design. 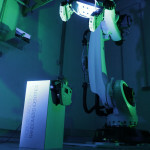 Robotic Woodcraft is a transdisciplinary, arts-based investigation into robotic arms at the University for Applied Arts Vienna. Bringing together the craftsmen of the Department for Wood Technology, the geometers of the Department for Arts and Technology, the industrial design oﬃce Lucy.D and the roboticists of the Association for Robots in Architecture, this research project explores new approaches on how to couple high-tech robotic arms with high-end wood fabrication. The Association for Robots in Architecture was founded by Sigrid Brell-Cokcan and Johannes Braumann with the goal of making robots accessible to the creative industry. 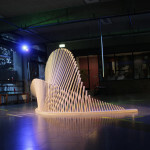 RiA pursues this goal on the one hand by creating a network of robot users and hosting Rob|Arch, a conference series on robotic fabrication in architecture, art, and design. On the other hand, it acts as a research institution, participating in research projects such as Robotic Woodcraft (FWF) and AROSU (EU). 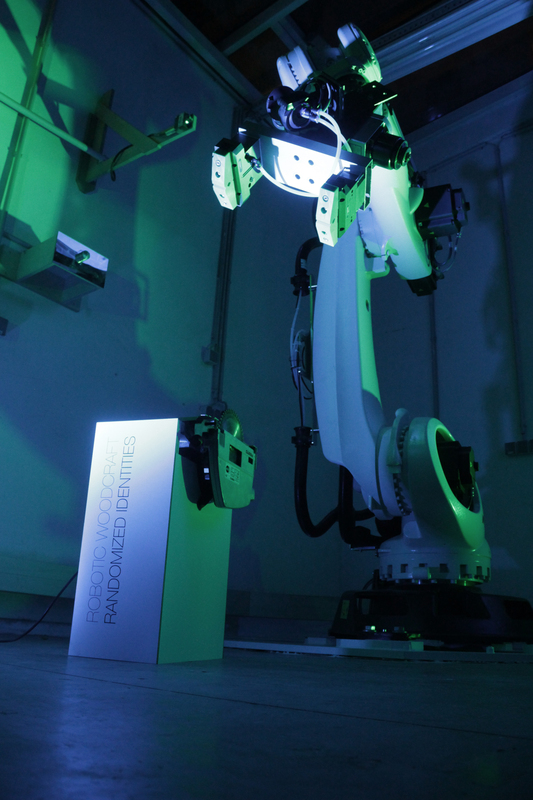 KUKA|prc (parametric robot control) is an accessible software tool that was developed by RiA to allow architects and designers to control industrial robots through visual programming. Today, the software is not only being used in the creative industry, but in a wide variety of industrial fields.